1.Adopt world famous brand compressor. 2.High purity refrigerant: R410a/R407C, to make sure high COP. 3.Optimized system design: R410a/R407C system with accurate capillary tube or electronic expansion valve, achieving stable operation and high COP in wide ambient temperature range. 4.Big heat exchangers: big hydrophilic fin-tube heat exchanger, big titanium coil heat exchanger, (maybe the biggest one in China), to make sure high COP in wide ambient temperature range. 5.Big and strong case: allowing built-in big heat exchangers, and reducing vibration and noise. 6.Advanced control: the quick-mind microchip LCD controller (Carel controller is optional) provides extremely convenient control on the heat pump. 7.Comprehensive protection: the heat pump is protected fully, including water flow, water temperature, compressor pressure and temperature, temperature for heat exchanger, and anti-freezing for heat exchanger and so on. 8.Quiet: using the high-efficiency, low noise rotary or scroll compressor, low noise fan. 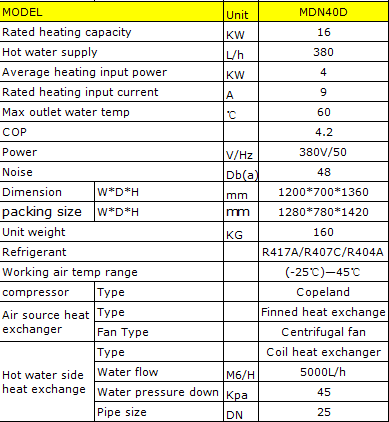 1>Meeting heat pump can sure delivery heat pump within 5~20 working days as we warehouse stock condition. 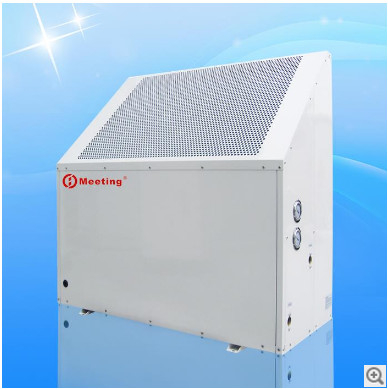 2>Heat pump with strong plywood pallet , strong plywood box for loading, make sure no problem happen during rude transporattion . 3>All spare parts of the heat pump water heater will together loading into package , one time finished shipment to buyer. 4>Take video of the heat pump for buyer before package to 100% sure buyer get product same as order, no any different. 1). 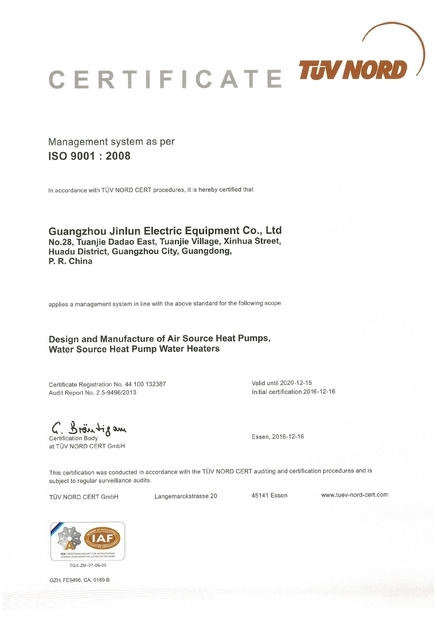 We were established in 2001.
temperature condition during -25DegC~45DegC,according to EN14511 standard. various water supply schemes . The entire system can be automated without special care. control to control the working fluid to achieve the best flow velocity effect, thereby increasing the COP value.